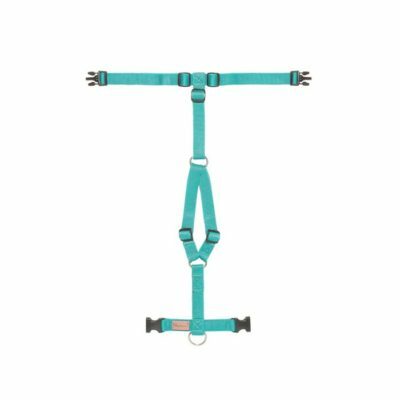 Each Haqihana harness is individually hand-made in Italy with great attention to detail. 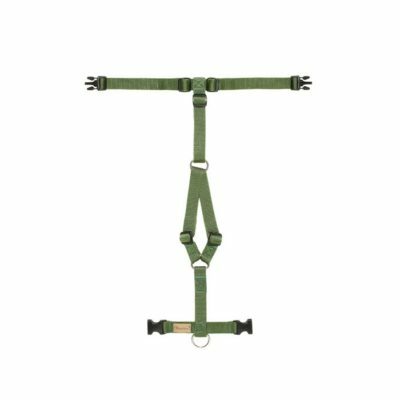 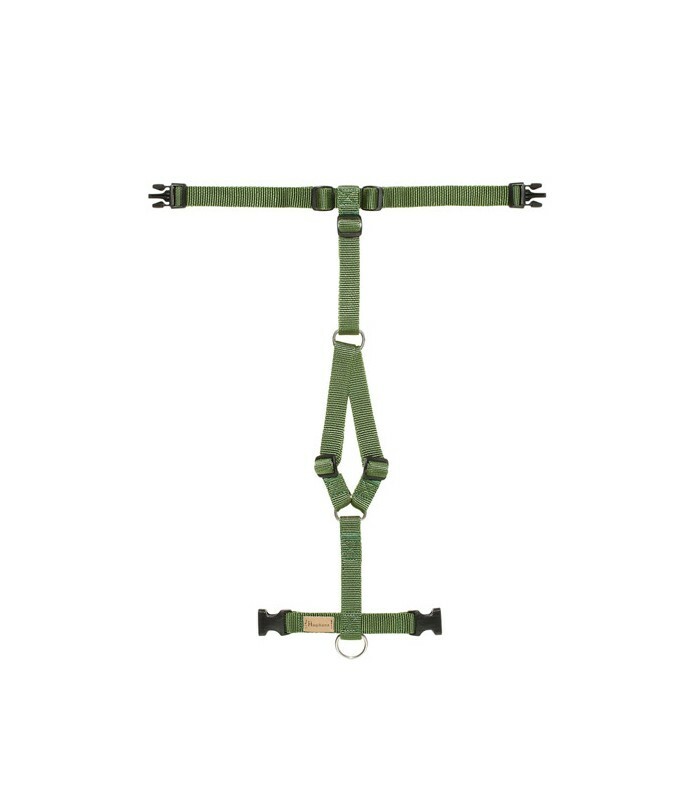 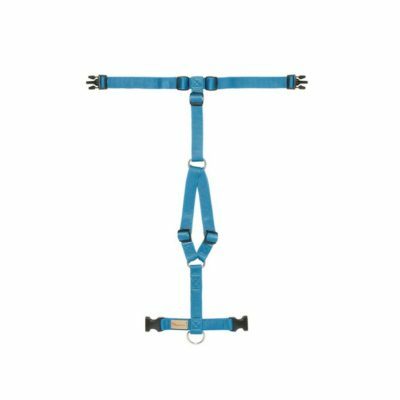 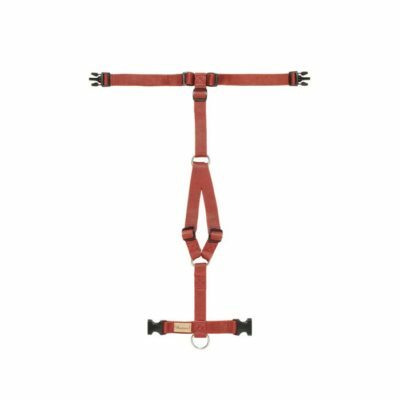 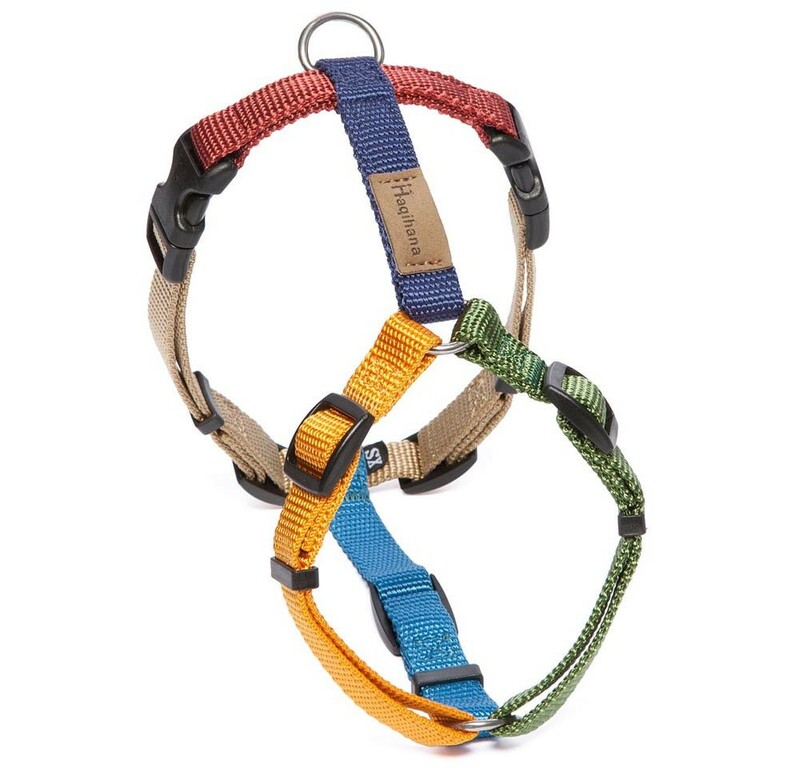 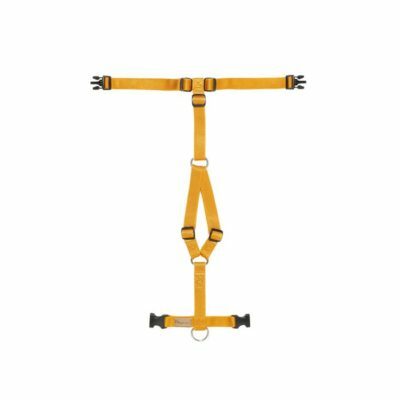 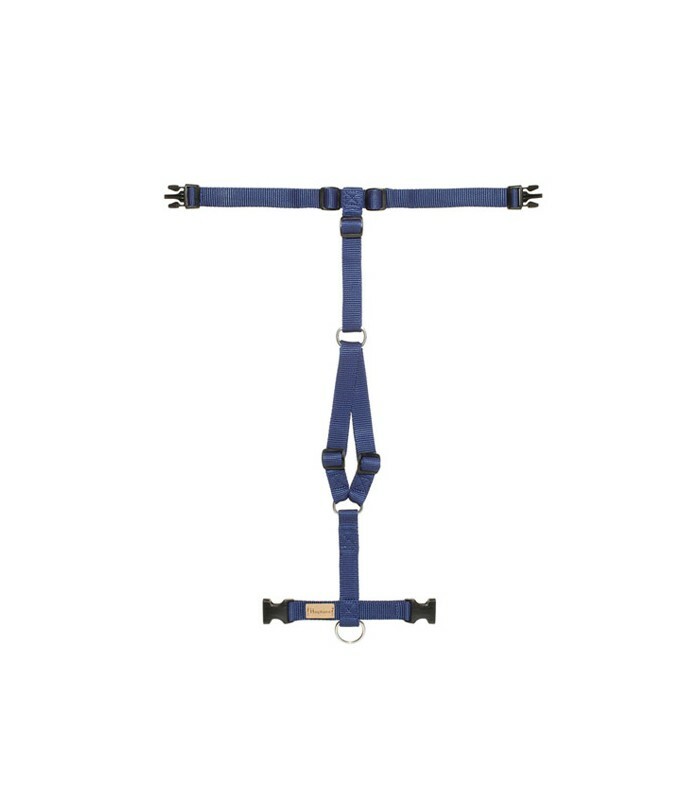 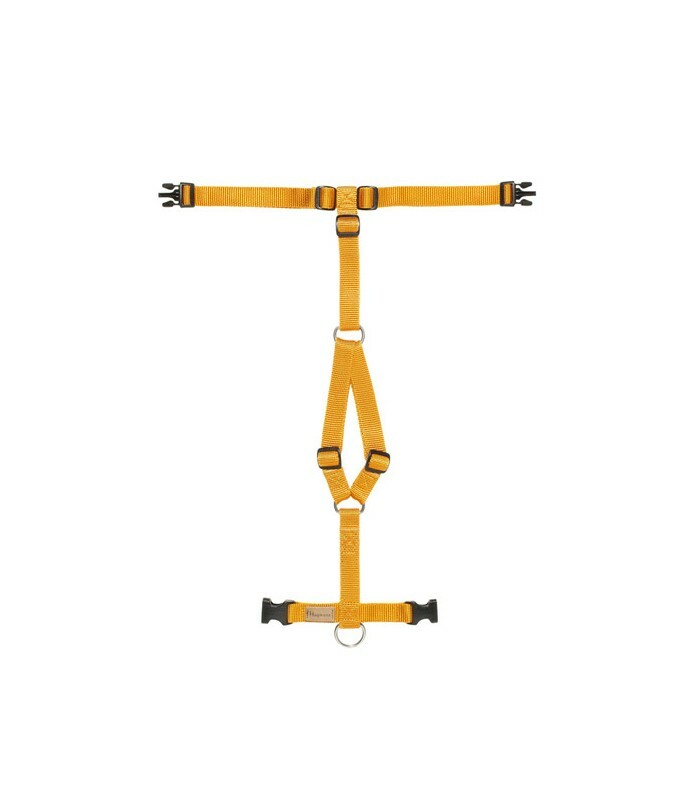 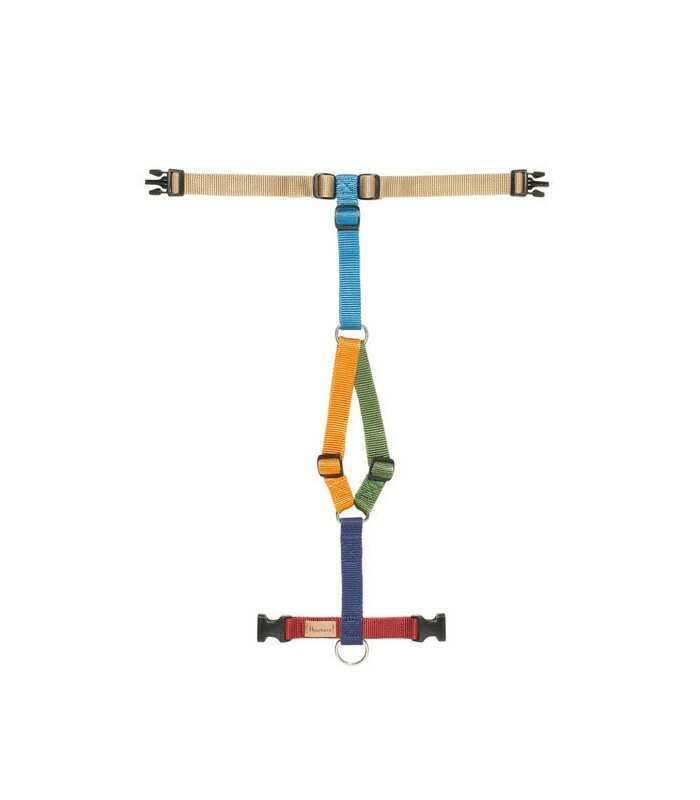 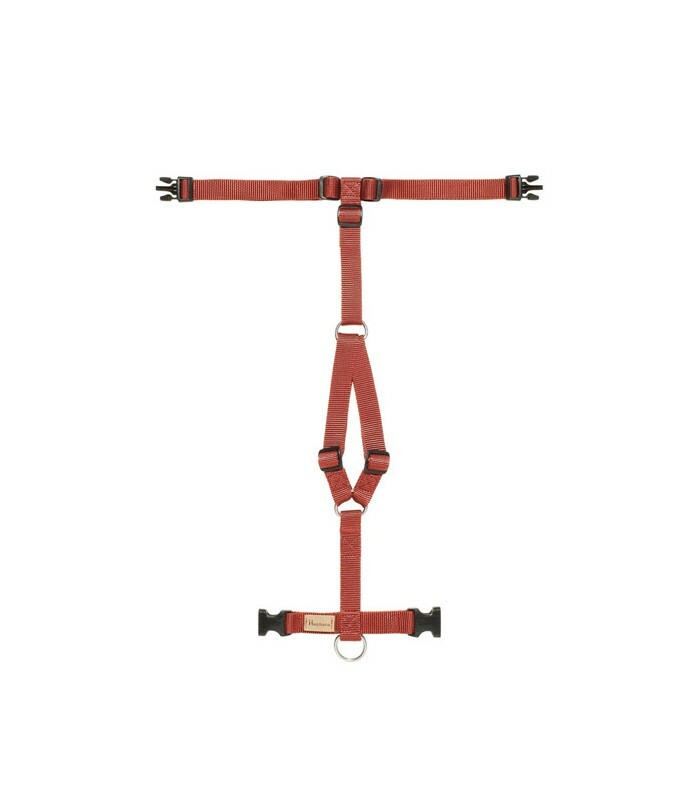 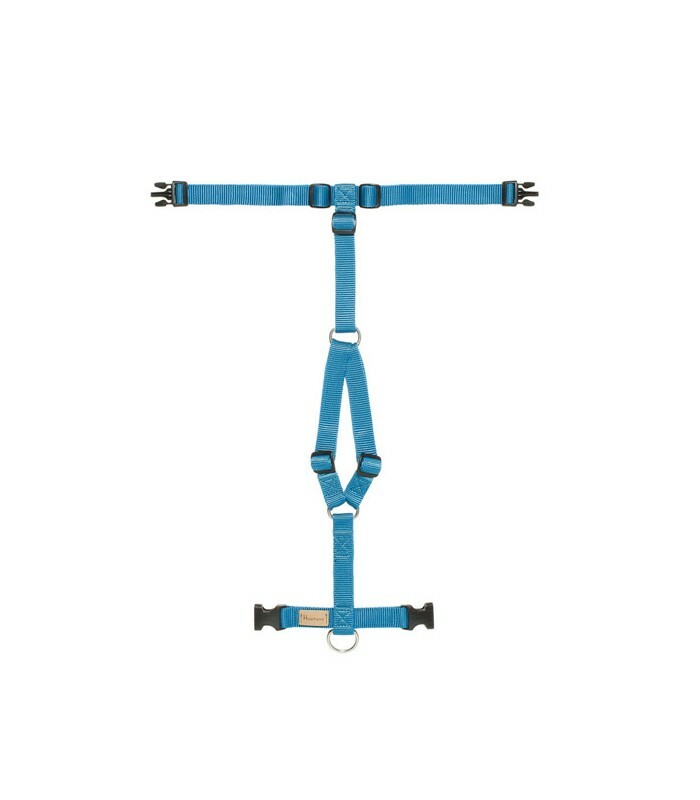 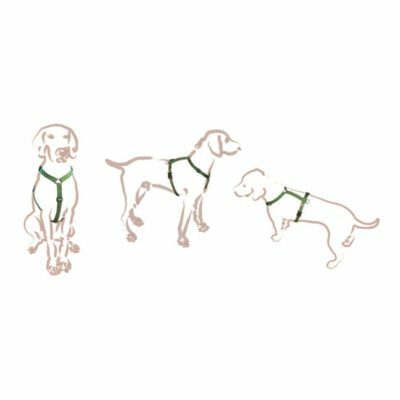 Design, together with well proportioned dimensions ensures that the positioning of the harness on the dog guarantees maximum comfort in all situations. 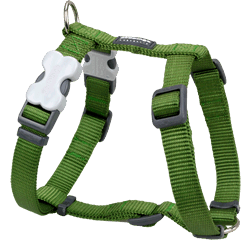 Pressure is properly distributed on the dog’s sternum and thorax only, even when he is pulling. 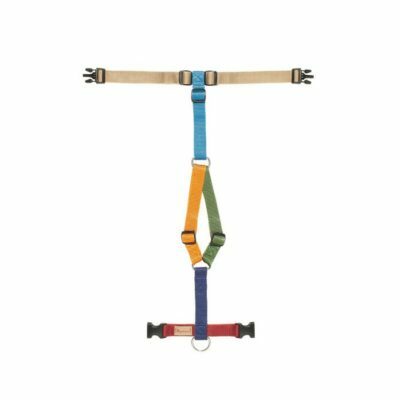 The webbing is made from a high tenacity, spun-dyed nylon which guarantees colour homogeneity and resistance for a minimum of five years. All parts are sewn together with secure stitching and the overlapping parts, which have contact with the dog’s fur or skin, are finished with a special stitching that avoids rubbing, particularly in short-haired dogs. The buckles and adjusters are made of acetal resin which maintains long-lasting mechanical and shock resistance, even in extreme conditions. 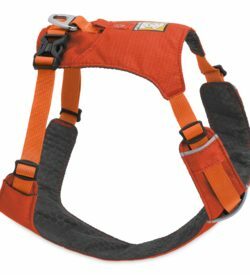 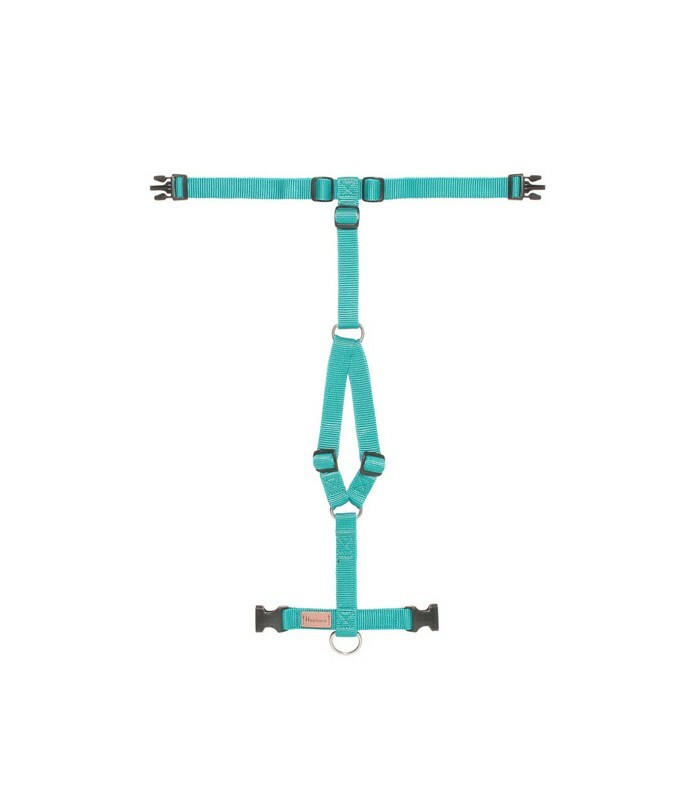 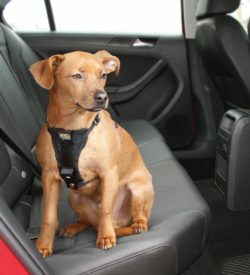 The plastic parts are rounded off and have no sharp edges and the unique positioning of the two buckles allows both fixing and removing of the harness with no fuss for dog or owner! 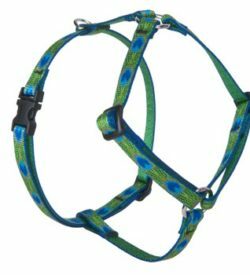 Metal components are in stainless steel which does not release nickel or cause allergic reactions. 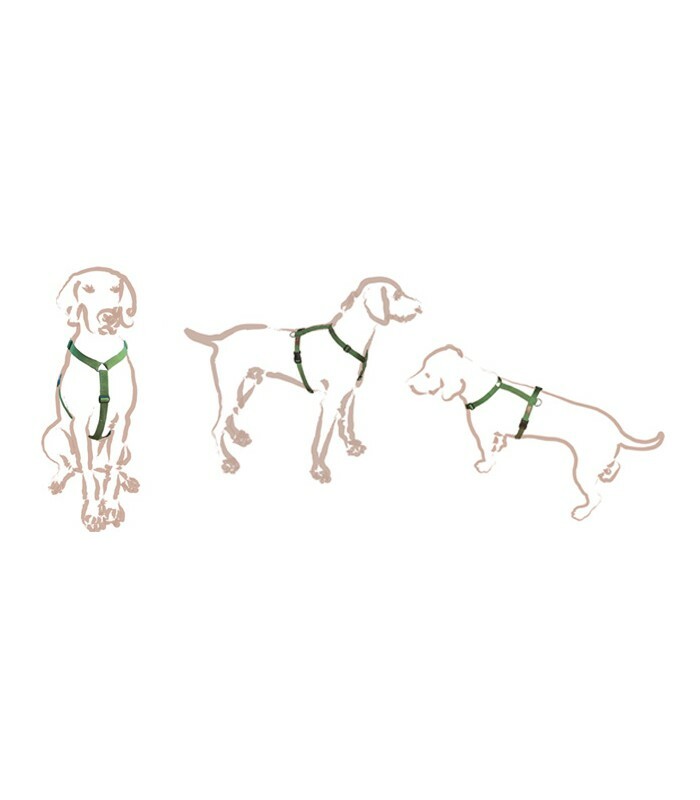 Haqihana is the only harness and leash endorsed and used by world-renowned author and dog trainer,Turid Rugaas.